The scene is familiar–a huddled group of teenagers surround a dusty book lit by candlelight, summoning an unknown force as they stumble through perverse diagrams and an incantation written in an unfamiliar language. This experience, though often reserved as a movie trope, is not unlike coming into contact with a work by the LA-based painter Jamie Felton. Layers of dense visual language coalesce, bat heads protrude, naked forms crawl across the picture plane, and flowers dance and wilt as a witchy figure watches over the whole scene. 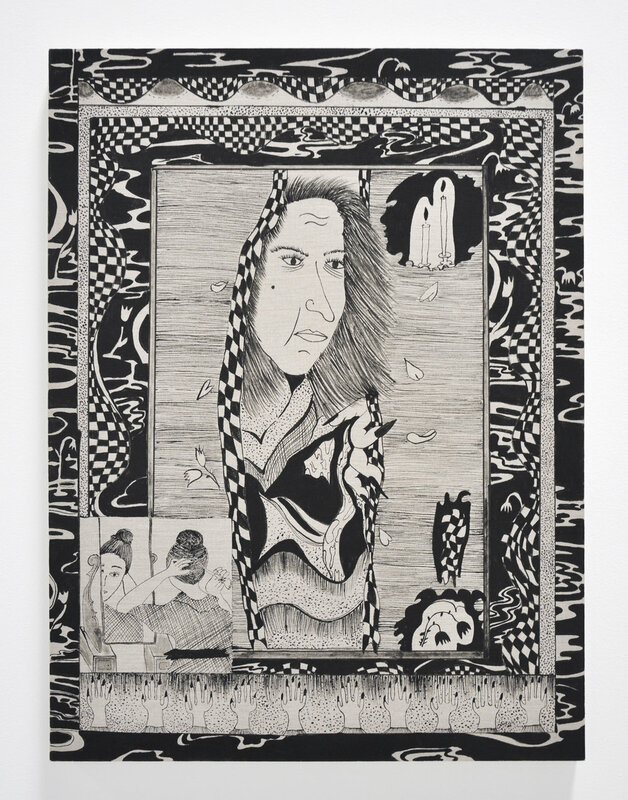 Felton’s exhibition A Puddle of Snail Juice, playfully plumbs the depths of the occult, psychedelic and grotesque as a means of exploring, critiquing and defying culturally imposed definitions of beauty and femininity. Even the exhibition’s title, a seemingly comical line within a potion recipe, references a current beauty trend in which snail excretions are bottled and sold as skincare salves to prevent aging. The most colorful of Felton’s paintings, depicts this scene as snails climb up the picture plane, across segmented faces, droplets of slime raining down. Beneath mirrored figure brushes their hair at the top of the painting, and a high-heeled wearer dons a wavy picture frame beneath, as floral embellishments weave throughout the bordered scenes. 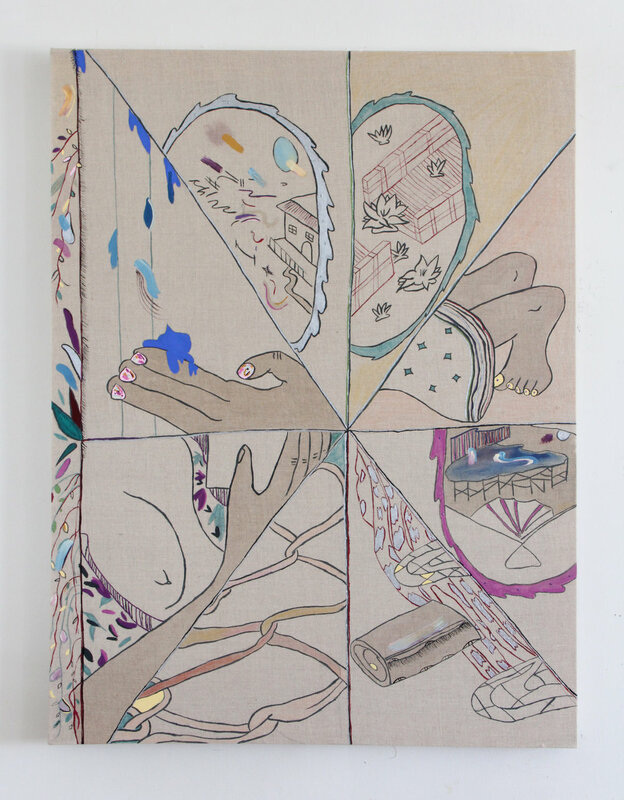 From scenes of growth and decay; self care, preservation and presentation, Felton’s paintings remind us that the abjected figure of the witch, was never a monster, but a self-possesed woman who broke from normative social constraints and behaviours. Jamie Felton b. 1986, lives and works in Los Angeles, CA. Felton received her BFA from Virginia Commonwealth University and completed her MFA at Tyler School of Art, Temple University, in painting. She participated in Skowhegan School of Painting and Sculpture (2014). Her work has been exhibited at Steve Turner (LA, CA) Nicodim Gallery (LA, CA) BBQLA (LA, CA) 0-0-LA (LA,CA) Elevator Mondays ( LA,CA) Nudashank Gallery in (Baltimore, MD), Interstate Projects, Greenpoint Terminal Gallery, BRIC Rotunda Gallery in (Brooklyn, NY), Katzen Museum, American University in (Washington, DC), Vox Populli in (Philadelphia, PA), Torrance Museum (Torrance, CA) and The Woodmere Museum (Philadelphia, PA). 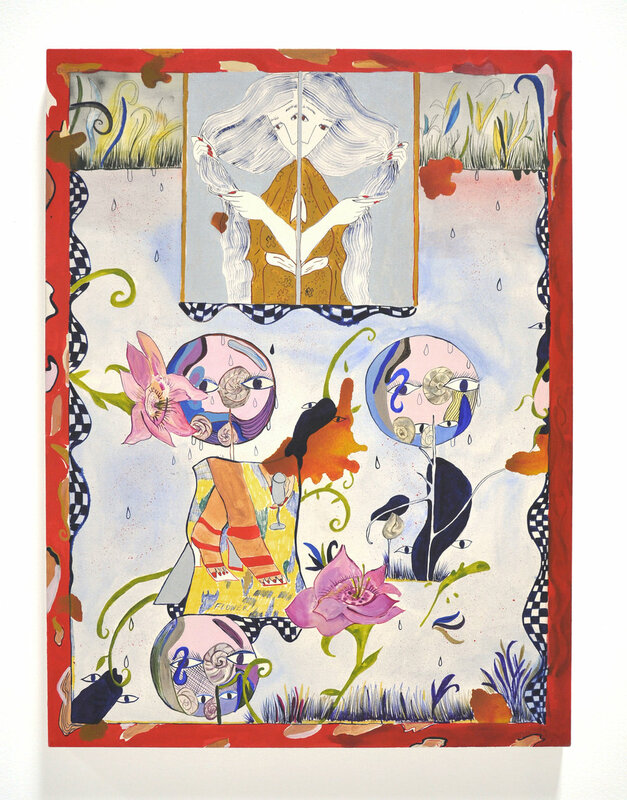 Felton has attended several residencies including Millay Colony for the Arts (2014) and The Lighthouse Works (2014). She has been a finalist for the Dedalus Foundation Grant (2012), awarded the Deans Grant (2013) and received the Bar Fund Grant(2018).